← Hard work in the blazing sun. A better photo of the same owl. 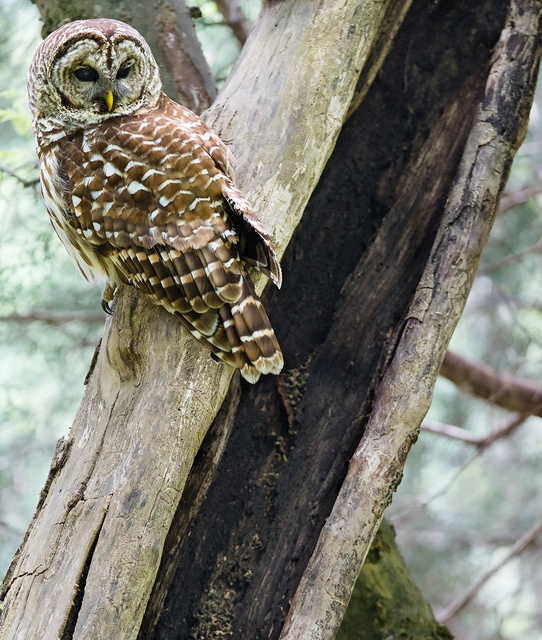 The photo was taken around 1130am, yet required ISO1250 due to the low light area where the owl was located. 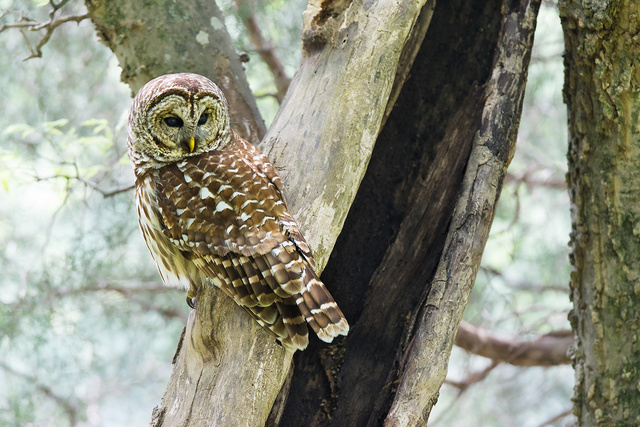 This entry was posted in beast and tagged bird, owl. Bookmark the permalink. 8 Responses to A better photo of the same owl. Nice! You have some pretty psychedelic owls over there. ISO 1250 – that’s pushing things to the fast side. That’s one real advantage of a digital camera too. My question is did you manually set the aperture or let the camera do it? Most of the time, even with digital cams (that I’ve used, not DSLRs) getting beyond ISO 800 starts getting grainy. I set it in manual mode (1/500s f5) but with auto ISO and. Sony A7R gets pretty grainy past 800, but it’s a mirrorless body with the option to focus zoomed in. I couldn’t have got that image with my Canon DSLR due to mirror vibration and general imprecision of focusing. I getting seriously disappointed in DSLRs, specifically Canons as I am more familiar with them. What lens? I’ve found my canon is more reliant on good glass for high iso shots. My 500mm is not great, but it’s okay, but was only a 4 digit price tag, and when I got the chance to use an L series 5 digit price tag one, the difference was remarkable in clarity, even at higher iso ranges. 300/2.8 IS and 1.4x TC. Personally, I’m amazed at anything beyond ISO 1000. I remember in the 70s when ISO 1000 was “specialty” film that had to be ordered weeks ahead of time (a friend was a photographer). He used it for a nighttime wedding along the coast and managed some very good results. Touchy stuff though, with a narrow window of exposure tolerance. Get it wrong and it was either grainy or you’d get a light bloom that ruined the photo. Woe be unto any mice in the AO.